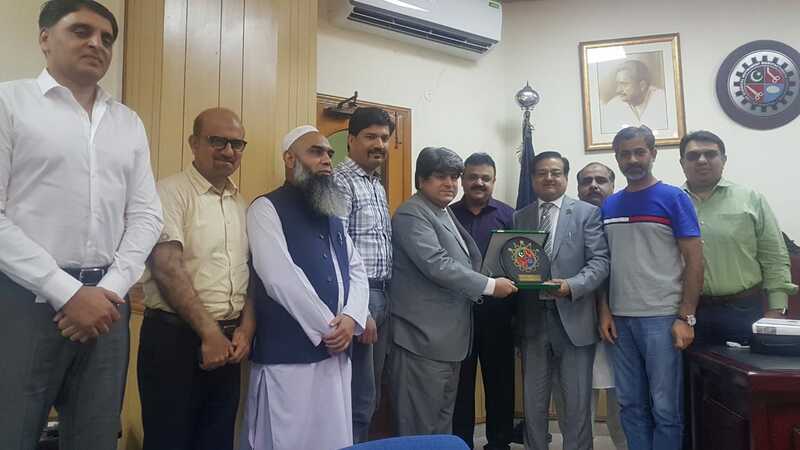 Pakistan Institute of Technology for Minerals and Advanced Engineering Materials (PITMAEM), PCSIR Laboratories Complex, Lahore organized a One Day Training Workshop on "Electropolishing of Surgical Instruments" at the Surgical Instruments Manufacturers Association of Pakistan", Sialkot on Monday, 23rd July 2018. At this occasion, Dr. Shahzad Alam, Chairman PCSIR , Mr. Farid Ullah Khan, Member Science PCSIR alongwith senior management of PCSIR was present. Ch. Qaiser Mehmood Chairman SIMAP paid thanks to Dr. Alam as the said initiative was taken on the request of SIMAP. Dr. Alam in his address said that PCSIR has long lasting association with SIMAP and their call cannot be ignored. Engr. Muhammad Irfan Head PITMAEM gave a detailed briefing to the participants on the topic. It is worth to be mentioned that it is a regular activity of PCSIR. A large number of surgical exporters were present in the training session.